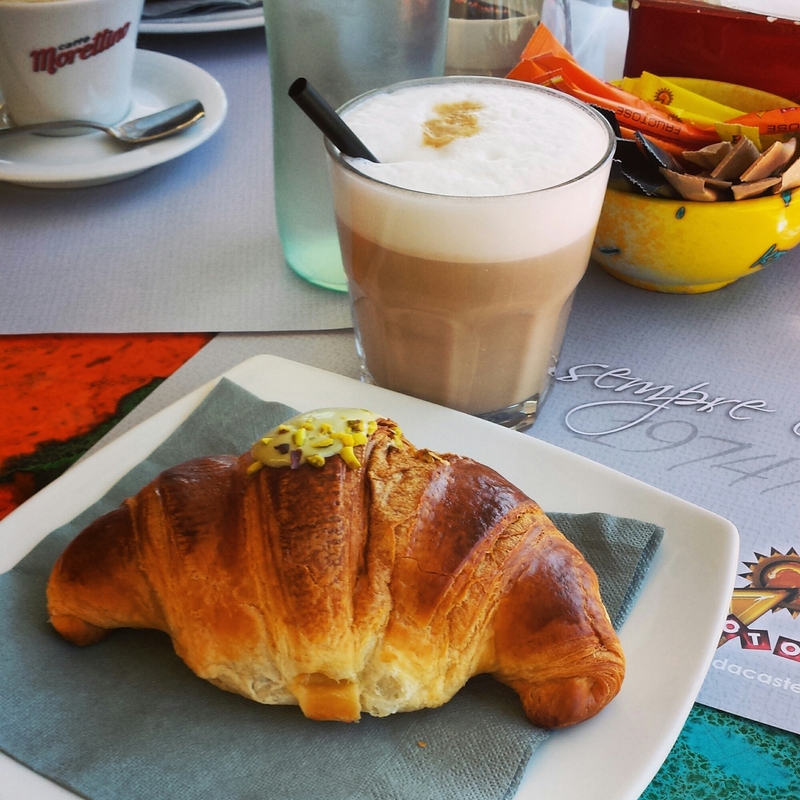 My favorite Sicilian breakfast: cornetto stuffed with pistachio cream and a latte macchiato. Perfetto! Wow! Pistachio cream – that is just too awesome. I could get used to that! Oh, yes Dana, it’s divine!